Color Pick: Eyedropper Tool is designed from the ground up to help you select colors from images revealing the HEX and RGB color codes for any pixel you select. The primary purpose of this informational, educational, and for entertainment. 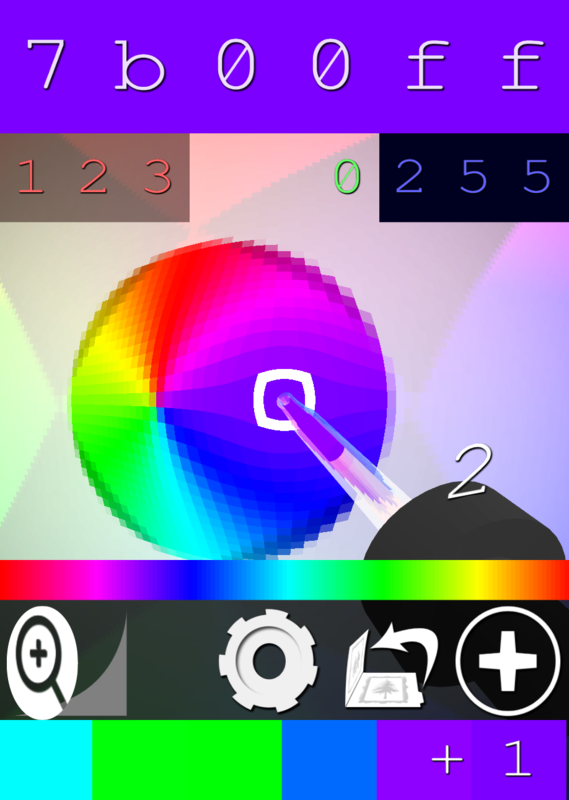 As you select colors challenge mini-games will appear to quiz you on your selections. As you advance you may unlock achievements and receive points. You may disable points and mini-games from the options screen. Master the RGB color space and hexadecimal (base16) numbering. Develop your intuition and hone your skills. Comprehend the unique index of 16,777,216 possible colors - raw memorization is not an option - a compound way of thinking is required to succeed! The app is an always offline app - which may be considered a feature - however you may upload your color palettes to the Internet using the built in link. Please report any issues you find via the support URL or feedback link in the app. We may support additional platforms in the near future! You can also watch a ColorPick for Mobile video demo on youtube. Don't forget to subscribe! I remember the good old days when all the colors were vibrant the hues were saturated with luminosity and I could pick all the colōrētur I ever wanted with zero consequences. Now the world has changed, and You can't double pick the same color twice anymore this might not be such a big deal but my entire life I have double clicked to pick colors. this change has been devastating. There are still vibrant hues out there waiting to be discovered and shared with the world; a world that has become bitter and obsessed with points... as if that even matters. The discovery of color, tantalizes. The native mobile phone applications are licensed separately from the desktop and extension versions. Even if you already own a license you will have to separately purchase this version of the app. Please check the documentation available on the colorpick mobile help page.